I bring to you one of those experiments that can be a brief moment-of-awesome or a longer predict-and-experiment-and-try-again hootennany. The amazing MILK COLOR EXPLOSION. 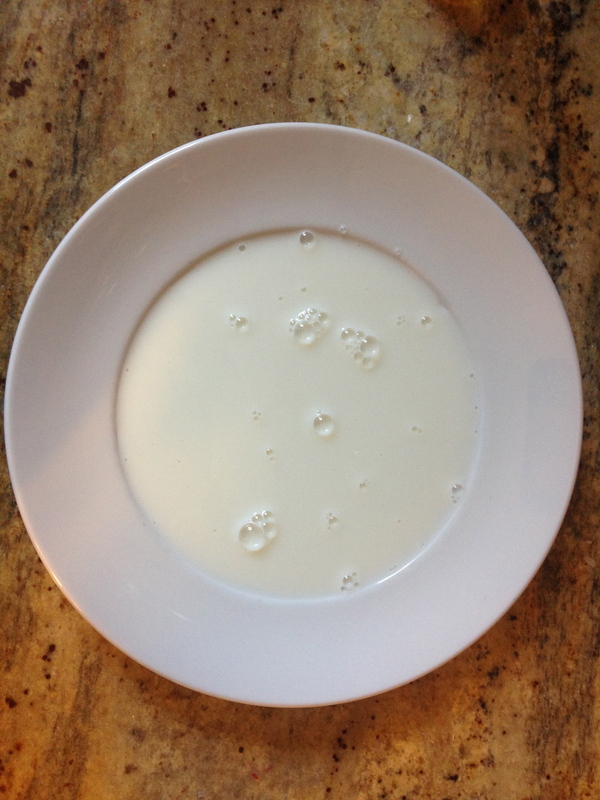 Pour milk into the plate and let it settle. 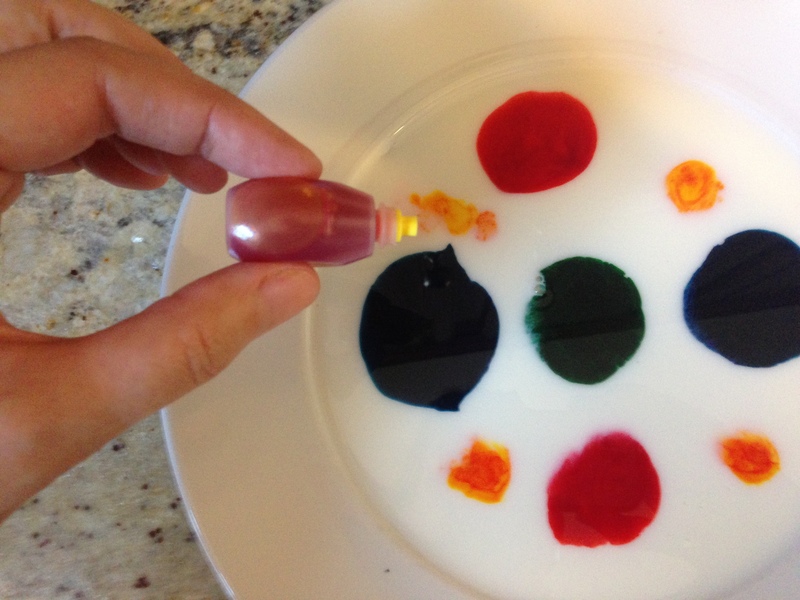 Drip food coloring into the milk. Drip dish soap into the milk. The suggestion I read was to coat the end of a Q-tip with soap and dip that into the milk. I am lazy. And wanted impressive results immediately. So I just dripped soap straight on in. Milk contains both proteins and fats, and the dish soap weakens the chemical bonds that hold the fats and proteins in the rest of the solution. The molecules of fat in the milk move around as the soap molecules try to join up with them. 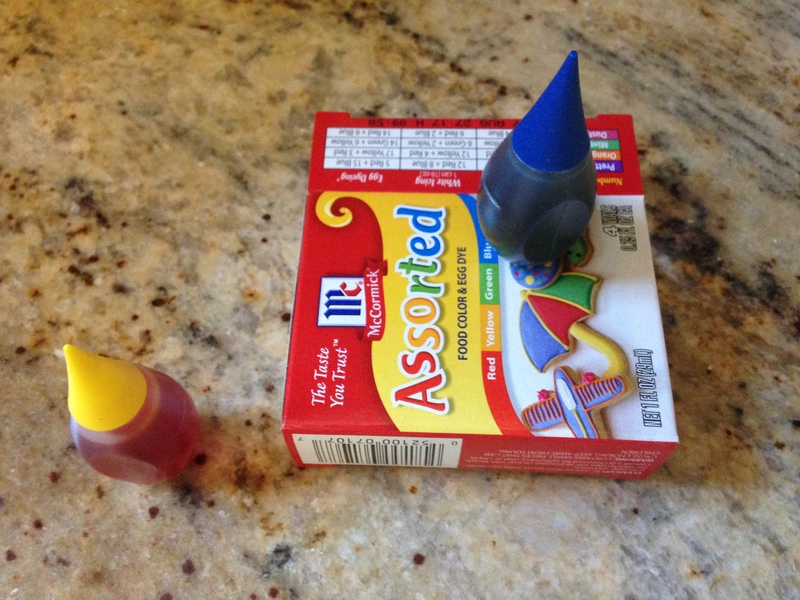 Meanwhile, the food coloring is bumped around all over the place. Eventually, the soap and fat ‘mix’ and the solution settles down. Predict what will happen before adding soap. Add soap in varying amounts. What happens with one drop? Two drops? A squeezed line? What happens with different kinds of milk? Does whole milk create a more impressive show? Make some predictions, make some charts, take some pictures! Or just watch the colors swirl around.